Clan Removed This article is about a Clan which no longer exists. Any information on this page may be out of date. It's just kept for historical purposes! 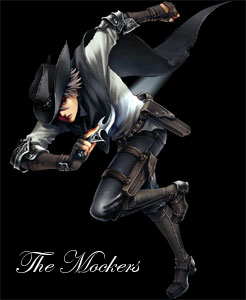 The Mockers (also known as the Guild of Thieves) is a guild of thieves present upon the world of Midkemia that operate out of the Kingdom city of Krondor. Some areas in which they deal include extortion, thievery and the harboring and transportation of known criminals. They often pray to the lesser god Ban-ath for protection. Their leader often changes, but is most often known as The Upright Man and his identity is kept secret to all but a few chosen members of the guild. "The Mockers" is a secret operative and will remain as such. Seeing as the clan have gotten bigger, a new assistant to the leader was chosen from among the elites of the clan. After much trials, BigChief emerge through and was appointed the Night Master. This page was last modified on 8 February 2019, at 16:36. This page has been accessed 18,760 times.